MPavilion 2018, designed by Spanish architect Carme Pinós, will play host to over 400 free events from 9 October 2018 to 3 February 2019. The four-month program has been curated responding to the ethos of Carme Pinós and focuses on design and building communities, fostering inclusivity, women in leadership, the architecture of education, and will feature talks, dance, performance, kids workshops and installations. With over 500 collaborators, international guests include London’s former director of Tate art museums Sir Nicholas Serota CH, Hyphen-Labs NY, an international collective of women of colour working at the intersection of art, technology, science and design, and the UK’s Fixperts—a global community of social designers and makers. New this year is MPavilion’s inaugural writer in residence Maddee Clark, and artist in residence, local artist Esther Stewart. 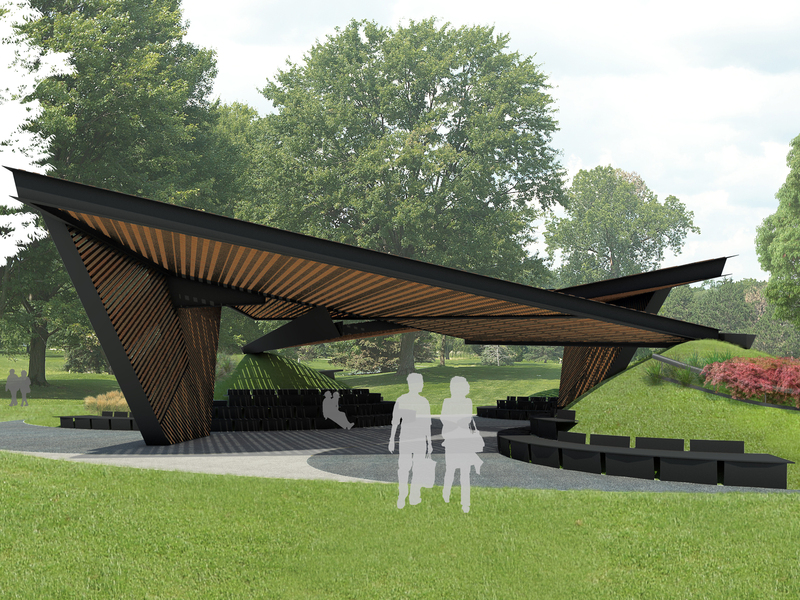 MPavilion will also play host to collaborators including Melbourne Festival, Indigenous architecture forum BLAKitecture, Bakehouse Studios, Chunky Move, Science Gallery, RMIT, State Library Victoria, Multicultural Arts Victoria, Melbourne Music Week, Melbourne Theatre Company, Liquid Architecture and Community Hubs Australia. “Carme Pinós is a major influence on global architecture, creating spaces that place human experience and environment at the centre of her designs,” says Naomi Milgrom, founder of the Naomi Milgrom Foundation.